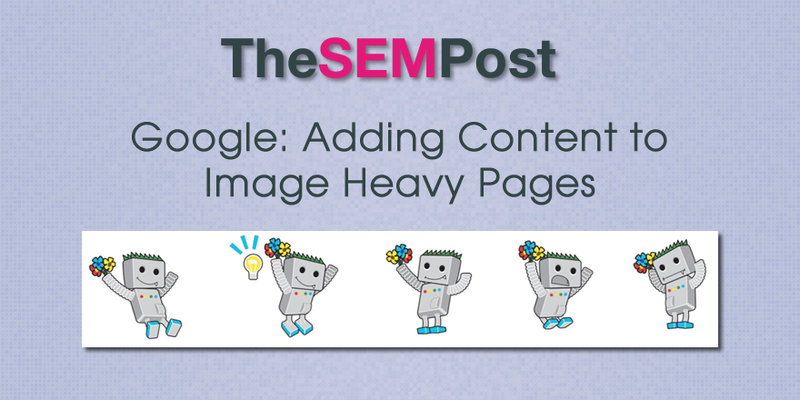 It can be hard sometimes for sites that are image heavy to rank in Google since Googlebot has fewer context clues to take from the content. Titles and tags are important but it can be harder to rank, especially outside of image search specifically. During last month’s AMA with Google’s John Mueller, he discussed issues around images and the lack of content for ranking. He mentions that visible text on the page is used for ranking, but he also explicitly mentions the usefulness in user generated content, in the form of comments about the images, as a way to build greater context – and content – on those types of pages. A simple way to do that could be to let people comment. Google has spoken multiple about the importance of user generated content, at a time when many sites are disabling comments from their content or shutting down their user generated sections. Great user generated content is great, but too many sites fall down with the moderating aspect of it, or don’t take steps such as nofollowing links within user generated content, which causes a lot of it to be spammy content. He does caution about the spam issue though. UGC brings some overhead in terms of maintenance & abuse, but could also be a reasonable way to get more text for your pages. He also brings up the other usual ways that bring context to images, such as links. We’re not going to “interpret” the images there, so we’d have to make do with the visible text on the page, and further context (eg, in the form of links to that page) to understand how it fits in. With puns, especially without a lot of explanation, that’s going to make ranking really, really hard (how do you know to search for a specific pun without already knowing it?). What I’d recommend there is to find a way to get more content onto the page. A simple way to do that could be to let people comment. UGC brings some overhead in terms of maintenance & abuse, but could also be a reasonable way to get more text for your pages.